Well, it’s going to be in the dark for us! My estimate is 11.30 p.m., looking at all the time zones being crossed, but as always, I suggest you double check with your particular TV feed. Some readers tell me they have found the South African feed and this has Martin Brundle commentating. Brundle, who has driven F1, would certainly be better than the squawkers we get through Star Sports. The Canadian GP is held on the Gilles Villeneuve circuit, constructed on a man-made island which had been used in the 1967 Expo. Originally named the Ile Notre Dame circuit, the circuit was renamed in his memory after his death in 1982. The location is one of the loveliest in Formula One since the narrow track threads its way through lakes and parkland. 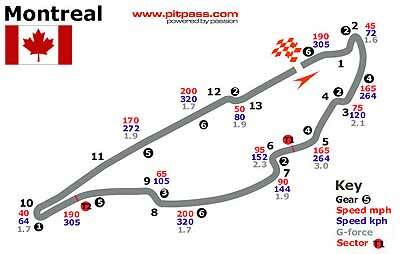 It is a narrow, medium-fast, 2.75-mile circuit with 13 corners. Some corners were eased for 1979, a new corner before the pits was added in 1991 and a chicane was added in 1994. What did we learn from the European GP? The first thing we learned is that several of the so-called ‘top’ drivers have not learned the first item in the racer’s text book - You can not WIN the race at the first corner, you can only LOSE the race at the first corner! Overenthusiastic moves to go round the outside do not work. Ralf Schumacher and Juan Pablo Montoya should go home and write that out 100 times each. 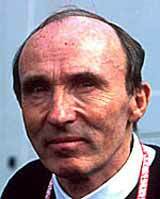 Sir Frank Williams is currently less than pleased with his drivers, of that I am sure. The next item was that whatever way you looked at it, Michael Schumacher was head and shoulders above the rest of them. End of story. Over half a second quicker in qualifying and dominant during the race. There was never any doubt about the final result. And what about Takumo San? Quicker than the highly praised (by the UK press) Jenson Button in qualifying and looking like more than half a chance of snaring the number 2 position on the podium. Some observers will say that his lunge at Rooby Baby Barichello was over ambitious, but at least someone in F1 is prepared to have a go. If he hadn’t taken off his front wing, he would have been there! There is much talk about the fact that Takumo Sato wouldn’t be there if Honda wasn’t pushing his wheelbarrow. Ignore that stuff. Sato was a winner in F3. He has the talent. We also learned that Jarno Trulli is more than holding his own against ‘boy wonder’ Alonso. Winner at Monaco and did well at the European GP. Trulli now sits 4th in the drivers championship, only 2 points behind Button’s 38, and 11 points ahead of Alonso and 12 in front of Montoya. Eyes were also opened by Jaguar driver Christian Klien’s refusal to give way to Montoya. However, he did show his inexperience in the end and Montoya was never headed again. Spotted a Classic and Sports Car magazine the other day which had an item about an ideal ‘starter’ classic. Their pick was a Mini. Considering that they built over 5 million ‘bricks’ in the UK, there should still be enough to go around the aspiring classic owners. Having had more than a couple of Mini’s in my time, including a 1960 sliding window model and a very special 1972 British Leyland project vehicle (it was a 1275 with all the go-faster bits, mag wheels, sunshine roof and all the bells and whistles), I actually think Classic and Sports Car could be right. Now where do we get one here? With oil prices going through the roof, following the unsuccessful War on Weapons of Mass Destruction, fuel cells are back in the news (we know the WMD’s are there somewhere, we just haven’t found them yet, but after we bury some we’ll dig ‘em up again and show the world how clever we are). Hyundai (HMC) are next in the fuel-cell vehicle push, and claim they will have a fuel cell vehicle (FCV) on sale by 2010. What is more, they will have a petrol-electric hybrid car available for commercial sale within two years. According to the GoAuto website, the senior vice-president of Hyundai-Kia’s Advanced Technology Centre, Joon-Chul Park, said that both hybrids and fuel cell vehicles were crucial elements in the South Korean car-maker’s quest to become one of the five biggest auto manufacturers by 2010. He said commercialization would be realized at the end of each respective R&D program, which with the petrol-electric drive-train focuses on the Getz small car and for fuel cells has switched in recent months from the ageing Santa Fe to the all-new Tucson all-terrain wagon. These platforms will change before hitting the streets, but Park confirmed that a SUV (sports utility vehicle) platform would be used for the first commercial fuel cell vehicle when the current Tucson program ends in 2009. “The five years (from 2004) is our demonstration and development period, so we’d have cars for commercial sale from 2010,” Park told GoAuto at the Tucson’s launch in South Korea last month. Park said HMC had not set out to become the first car company to offer mass-market fuel cell vehicles but was determined to run with leaders in the field such as Toyota and Honda. “The fuel cell will be the future power-train so somehow we have to stay with the development of fuel cell technology,” he said. Unveiled at the Geneva motor show earlier this year, the front-drive Tucson FCV is HMC’s second generation zero-emissions vehicle built in collaboration with American fuel cell giant United Technologies Corporation (UTC). It has several advantages over the previous Santa Fe FCV including cold-weather starting, a higher-output fuel cell stack and an extended driving range from the Dynetek developed hydrogen storage tank. Vehicle durability and interior packaging (lower floor height) are also improved with the stack relocated from the undercarriage to the traditional engine bay. HMC also claims to have eliminated hesitation associated with power being cut when the Santa Fe FCV is driven under hard acceleration, the biggest sticking point to emerge at a 1000m straight-road drive given to journalists at HMC’s Namyang R&D centre near Seoul. “(Santa Fe) is operating between 160-270 voltage but Tucson’s average voltage is more than 300V, so higher voltage gives us better motor performance and some more room not to have that hesitation,” said Hyundai-Kia principal research engineer (fuel cell), Tae Won Lim. The Tucson FCV will be tested in real-world conditions, with at least 30 Tucson FCVs based in California over the next few years. The latter could increase now that HMC, along with several other manufacturers, has secured a slice of a USD 350 million US Government grant designed to get more FCV prototypes onto American streets. HMC claims it will spend USD 2.3 billion on R&D in 2004, almost double its expenditure in 2001, which in addition to fuel cell and hybrid power trains will be used for stand-alone internal combustion engine developments including a forthcoming common-rail turbo-diesel that meets Euro 4 regulations. Last week I asked where was the Eiffel made? This was a model made by a famous manufacturer? It was a Ford-Koln model, which had two intertwined blue ovals, one with F for Ford and the other K for Koln. It was not made in France, home of the Eiffel Tower, but in Koln in Germany, next to the Eiffel Mountains. So to this week. Ted Horn came 3rd two times in a world famous motor race. The car he was driving had won it twice before. What was car’s correct name? Damd if you do, and Damd if you don’t! Damd, a Japanese tuning company has introduced a very neat restyling of the Suzuki Alto Lapin. 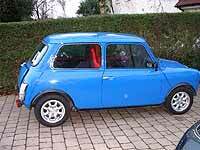 Called the Ancel it looks like a Renault 4 from the 1960’s, for all those people who can remember that far back. I’m damd if I know why anyone would bother recreating the unlovely R4, but there you go. Rennophiles, the Damd answer is in Japan, and it’s called an Ancel! Apparently Japanese people are attracted to the 1950’s and 1960’s design world and there are companies making replicas like Mitsuoka (Fiat 500), Duesen Bayern (Merc SL) and there was even a Citroen H van replica based on Daihatsu underpinnings. Why would you ever bother?